I didn't know this palette existed till a chance browse. I was urging my mother to try a new lipstick formula and I brought her to the Dior counter in a bid to hook her on to Rouge Dior, which was where I met the most insulting SA I've ever encountered in my life. I almost missed out on purchasing this palette because I loathed the idea that she would receive a commission for such rude manners. But makeup prevails, especially since according to Joeyspace, Dior Blue Ribbons is an Asia exclusive. 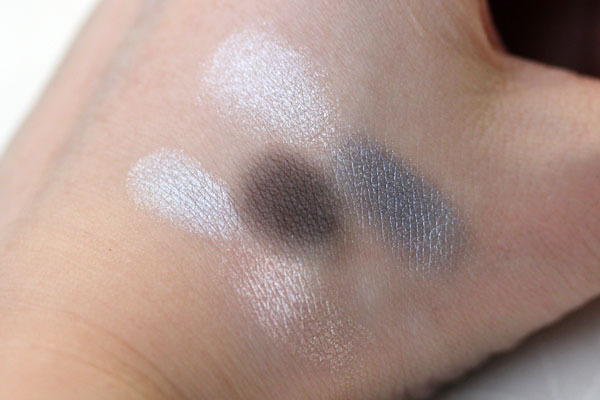 I've been on a frosty eyeshadow kick lately. Anything with a good amount of shimmer or sheen I'll gobble up in a jiffy. 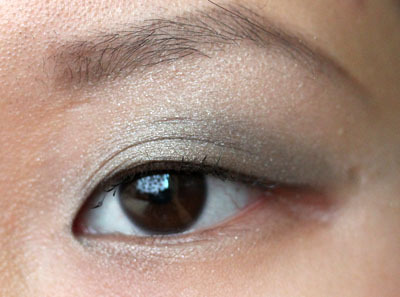 Dior quints are some of my favorite eyeshadow palettes around, and Blue Ribbons doesn't make me change my stance. I think Dior has been on an amazing run lately (though, what does everyone think about the Spring Collection? The more I see it the less I want it, for some reason). I'm not sure why the blue shadow looks more green to my eye in the pictures below. Maybe it mixed with my yellow skin and turned green? Or maybe I layered it over the peach and placed some of the black over it? Oh I don't remember. But I know it's pretty! When I muster up some energy for some eye shots - yes, I do live like a fat slug when I'm back home - there will be more of Makeup You Want But Cannot(?) Have on Messy Wands. I haven't decided if it is glee or trepidation that accompanies my writing these posts (what if you hurl carrots at me for showing you things that are impossible to get? ), but they'll (the posts, pray not the carrots) come either way. Thanks for the review! I have wanted this palette for a while now. Just so you know, it is an Asia-exclusive, we don't have it available here in the UK. It was released with the Blue Tie collection in Asia. I love the combination of the light blue with the peachy beige and white colour. I'm trying to find a way to get it so that I won't be burned by customs (hate customs, why does the threshold have to be so low? They take 20% value too, here in the UK), but still nothing yet. I'm surprised you don't like the spring collection, I've been counting down the days until the release (still a couple of weeks away here). What don't you like about it? As a collection though, I still don't think it beats spring 2010, that was a gorgeous and extensive collection, but this one is quite pretty. 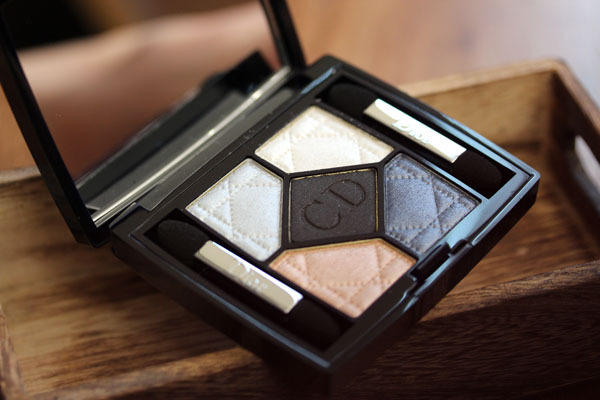 I mostly want to try out the green palette as it seems that Dior so rarely does much green. I actually enjoy these things you want but cannot have posts! That way I can happily look at pretty makeup, but know that my wallet is safe for the moment. I haven't actually seen the spring collection myself so maybe that's it? I guess the colors just don't grab me much so far. Andrea- I'm sorry you took it that way! I am definitely not gloating at other people's inability to procure the products :( the title is inspired by Pink Sith's Blushes You Want But Can't Have series, and similar ones are commonly used by other bloggers to describe country exclusives or discontinued LEs. What are you interested in for spring? The quints...o___o Just because they're so pretty! I don't even know if I would actually use them and wreck the floral patterns.